Pattern for the Simple Leggings pattern for women. With 10 sizes, 3 lengths, and high or low waist options, you can sew the perfect leggings for any occasion and any body shape! One sewing pattern in either English or Italian (choose your preferred language in the drop-down menu above) for the Simple Leggings pattern for women. Please note that this is an instant downloadable PDF pattern, NOT a finished sewn product! 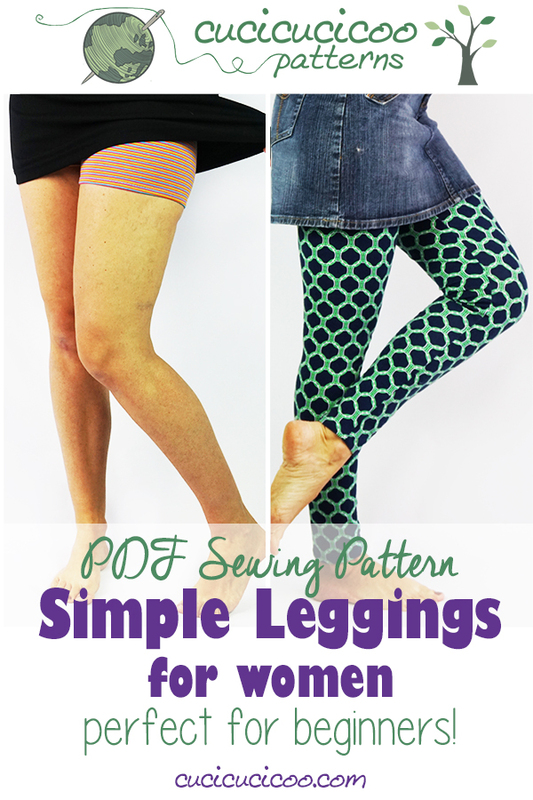 The Simple Leggings pattern for women is super versatile for making your own me-made garments that can go with pretty much any outfit! The Simple Leggings pattern has three lengths (long, ¾ length, and shorts) and both high and low waist options, so you can make versions for any time of the year or any temperature! 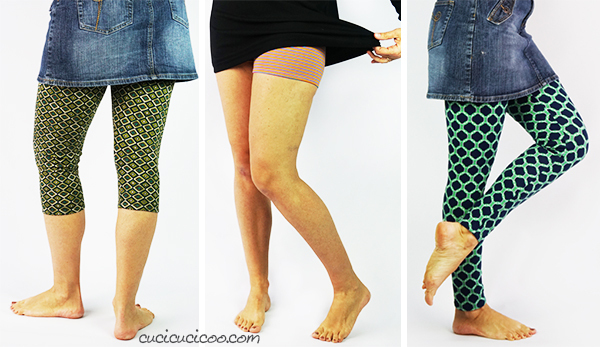 They are perfect to wear as regular bottoms under a shirt or tunic, or layered under skirts or dresses. Depending on the fabric used and the outfit they’re worn with, the Simple Leggings can be fancy or casual. 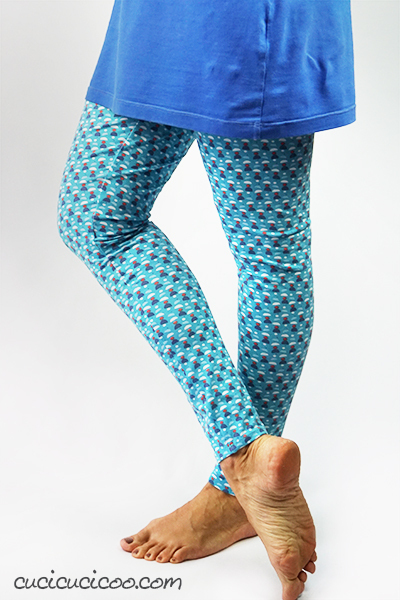 Wear them to work, to bed, for yoga practice or for a girls’ night out! 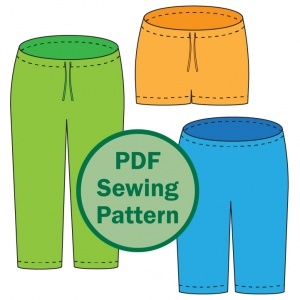 Beginners can easily sew Simple Leggings with a basic stretch stitch and zig zag stitch, while more advanced sewists can also use a twin needle and/or overlock machine. All techniques are described in the instructions. Options, options, options: Choose between three leg lengths and two waist heights. So versatile: You can wear leggings with shirts, tunics, dresses, skirts, for sports practice, dancing with friends or date night with your sweetie. Comfy travel: Wear leggings under a skirt when travelling so you can remove them or put them back on as needed. I always have a pair of leggings with me when travelling, especially when I’m taking a plane! Quick results: Once you’ve prepared your pattern and sewn a first pair to figure out how to make them, it’ll take you no more than 30 minutes to sew each pair. That’s a very quick handmade garment! Fit any lady! With 10 women’s sizes and instructions on how to modify the pattern shape, you can fit any unique body shape! Scroll down to see the size chart below. 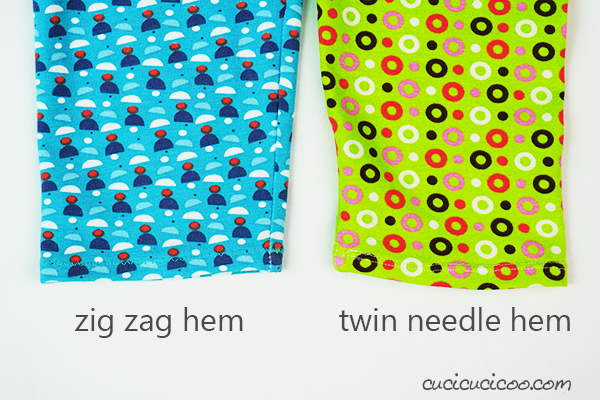 Beginner level: Don’t fear if you’ve never sewn stretchy knit fabric before. The instructions give you all the information that you’ll need, and this very simple pattern is a perfect first project with knits! In addition, links are provided to even more detailed photo and/or video tutorials for the techniques. Ideals: Sick of supporting sweatshops and massive chain stores who don’t guarantee worker safety and dignity? I don’t blame you– I am too! When you sew your own clothing, you are supporting a small, family-run business. Which would be me, in this case! Thank you so much!! The Simple Leggings pattern for women has three lengths: shorts, 3/4 length, and long. You can use this pattern all year round, in any weather or temperature! 18-page pattern for home printing, with a table specifying which pages to print according to size and length (here’s a tutorial on how to print and assemble PDF patterns). The PDF format also allows you to hide sizes you don’t need in order to avoid wasting printer ink (this tutorial shows you how). Extra PDF pattern file for printing on A0 sized paper at a copy shop if you prefer not to print at home. Table with fabric requirements for each size and length. Knit fabric with at least 5% spandex/lycra content. It MUST have a four-way stretch (meaning that it stretches both vertically and horizontally) and about a 50% stretch. More information is given in the instructions on how to choose fabric and the amount needed. You can download the pattern files immediately after purchase, or download them from the email that will be sent to the address you purchased from. Please note that you will only be able to download the files THREE times, so please make sure that you will be able to save them when you click to download. The three downloads do not expire, so there is no rush to do so immediately! Don’t forget to show off your work! Post pictures of your Simple Leggings to Kollabora, the Cucicucicoo Facebook page or any other social media with the hashtag #cucicucicoopatterns! And for any questions at all, feel free to contact me at lisa@cucicucicoo.com! Click here to save this pattern on Pinterest!